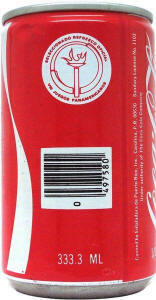 (02) 1999: Environment protection can. 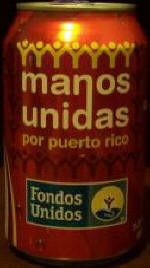 Made for supporting a school ecologic program. 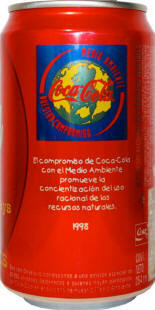 (03) 2000: Made for supporting a school ecologic program. It was only given to students in Capital Fed.City. 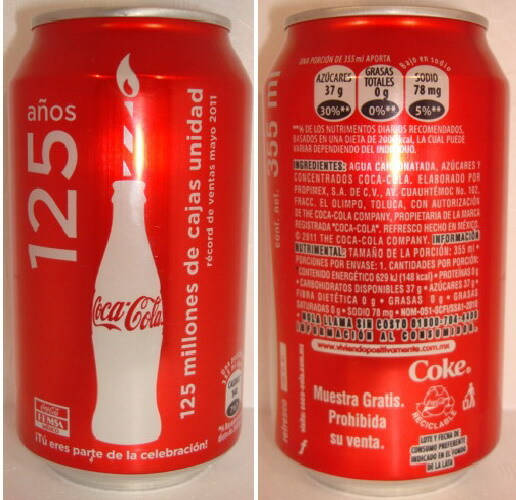 (04) 2001: Made for supporting a school ecologic program. It was only given to students in Capital Fed.City. 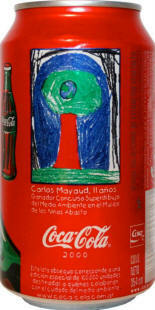 (05) 2002: Made for supporting a school ecologic program. It was only given to students in Capital Fed.City. 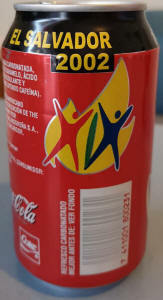 (06) 1999 & 2000: "Ahora solo en Colegios". 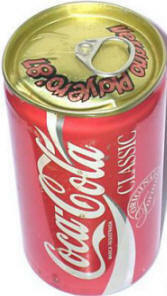 This special can was sold only in the schools. 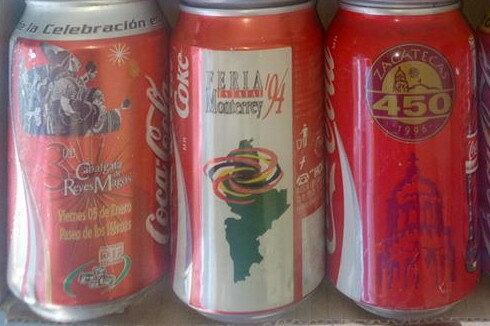 (07) The most important and rare Argentina coke can. 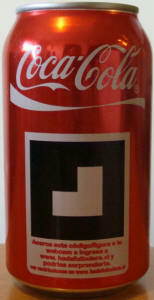 It's the ISO9002 coke can. 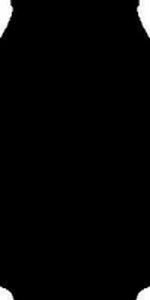 "Det Norske Veritas - Quality System Certificate". 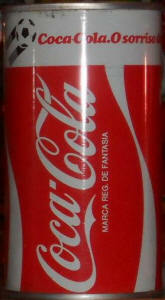 "CICAN S.A. ISO9002/1994 - Production and canning of soft drinks". (09) Inauguration of Jundiaí Factory in Brazil in March 1998. 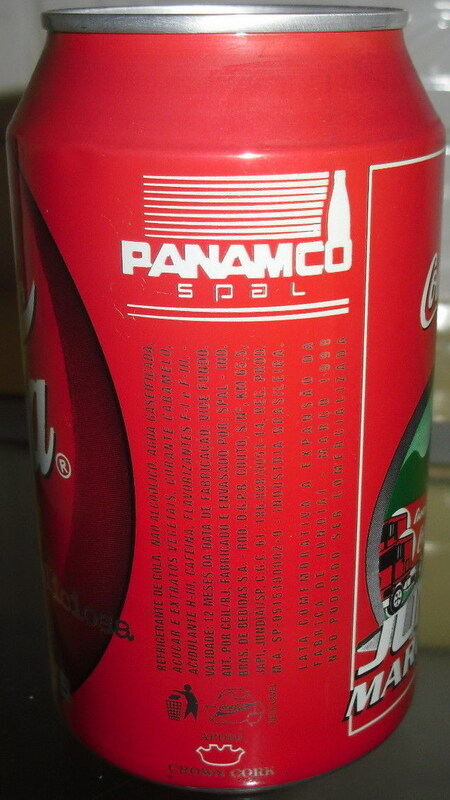 Panamco Spal. "Lata comemorativa a espansao da fabrica de Jundiai - nao podendo ser comercializada". (10) 2014: PLANTA ITABIRITO MG opening. "Serie Especial - 1a producao". 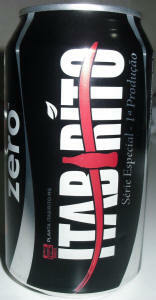 Commemorative brasilian coke zero plant opening. Extremely rare and, NO BARCODE. (11) Muqui (mascot) te invita a los XVII juegos deportivos centroamericanos y del caribe. 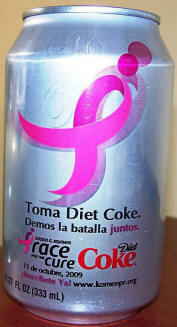 19-30 de nov 1993.Ponce.PR. 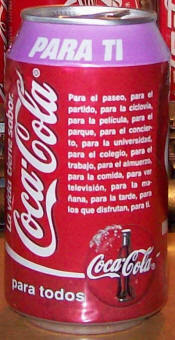 (12) This can was originally made by Coca-Cola to collect fund for the organization "Fondos Unidos" . (13) 1987: "Verano Playero '87". 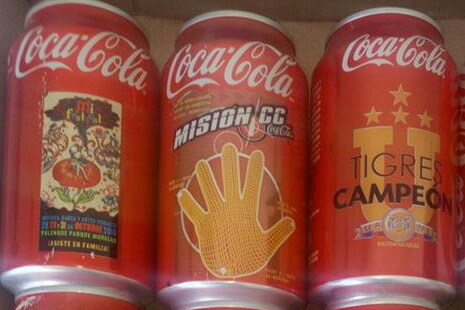 Old Summer can! (14) Released to promote the upcoming "Race for the Cure" event next month of October sponsored by the Susan G. Komen foundation. Produced for the year: 2009, 2010, 2011. 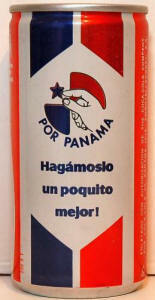 (15) 1982: RECCO, Porto Rico. 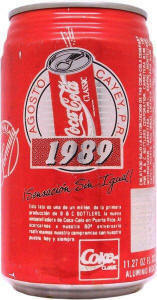 (13/2) 1989 Agosto Cayey, P.R. - Esta lata es una de un million, de la primera producción de B & C Bottlers. (14/2) 1979: VIII juegos panamericanos. (16) 1995: 50 Anos Queretaro 1945-1995, Tradicion Y Calidad. 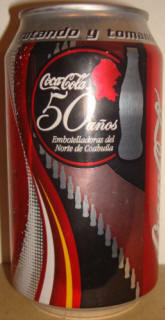 (17) 2005: 50 anos Embotelladoras del Norte de Coahuila. 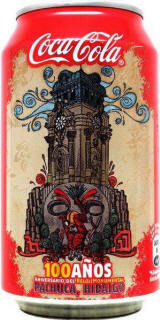 (18) 2010: 100 años aniversario del Reloj Monumental Pachuca, Hidalgo. 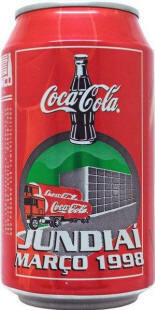 (19) 1992: Queretaro Plant Opening. (20) 1994: Plant inaguration - LA VICTORIA - TIJUANA. 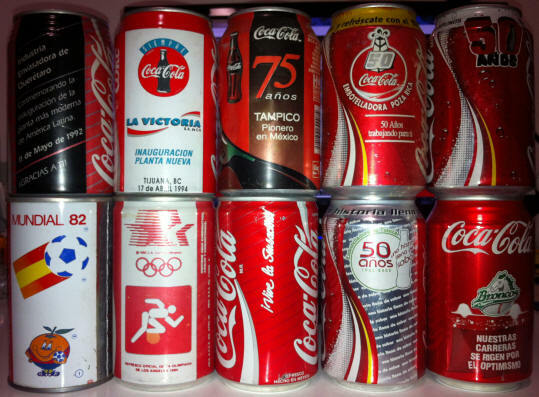 (21) 2001: 75 anos Tampico – Pionero en Mexico . 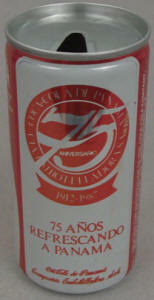 (26) 1988: "vive la sensacion"
(27) 2005: 50 anos embotelladora de Toluca. (29) 1984: EXPO COMER, II exposicion comercial internacional. 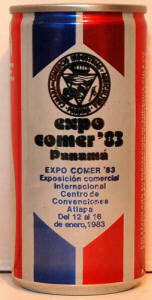 (30) 1985: EXPO COMER, III exposicion comercial internacional. (31) 1986: EXPO COMER, IV exposicion comercial internacional. 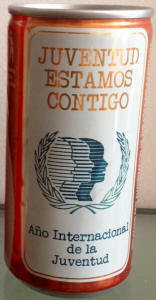 (32) 1983: EXPO COMER, I exposicion comercial internacional. 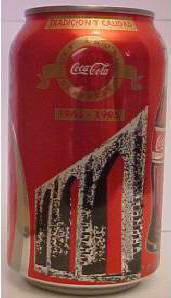 (34) 1987: Supermercados GAGO 25th Anniversary. (38) 1984: LA Olympic Games. 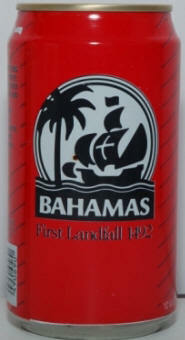 (41) 1992: Bahamas, First Landfall 1492. 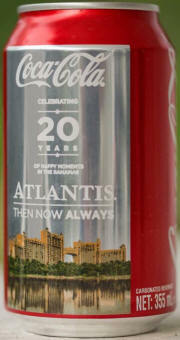 (42) 2014: "Coca Cola Celebrating 20 years of Happy Moments in The Bahamas ATLANTIS. Then, Now, Always". 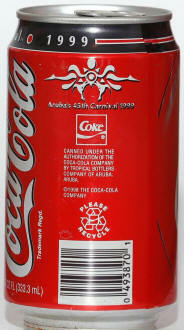 The mega-resort property, Atlantis, has teamed up with Caribbean Bottling Company to produce commemorative Coca Cola cans in celebration of its 20th year in the Bahamian community. (43) 1989: "VISTETE DE PATRIA". 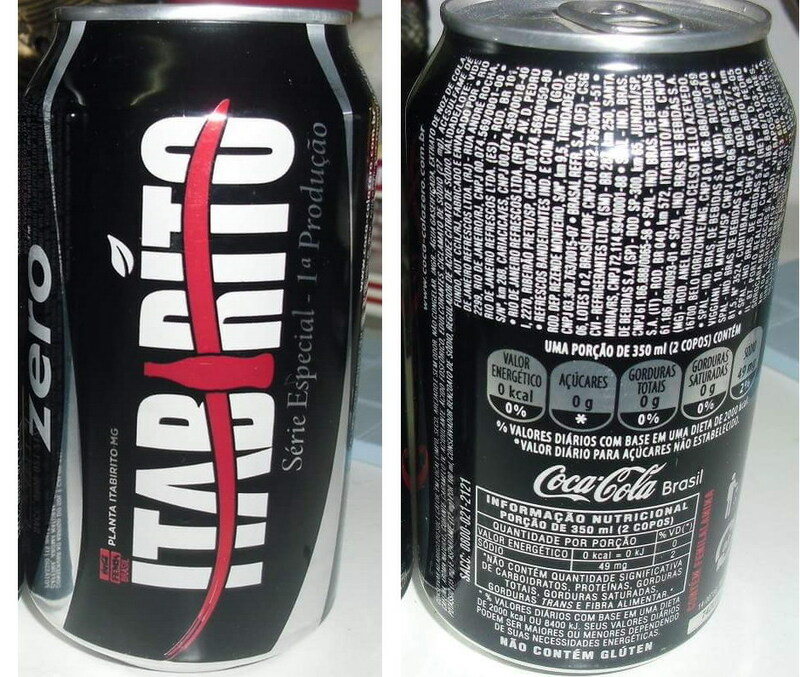 (44) 2006: 150 anos è sò comeco, 150 anos Ribeirao Preto. 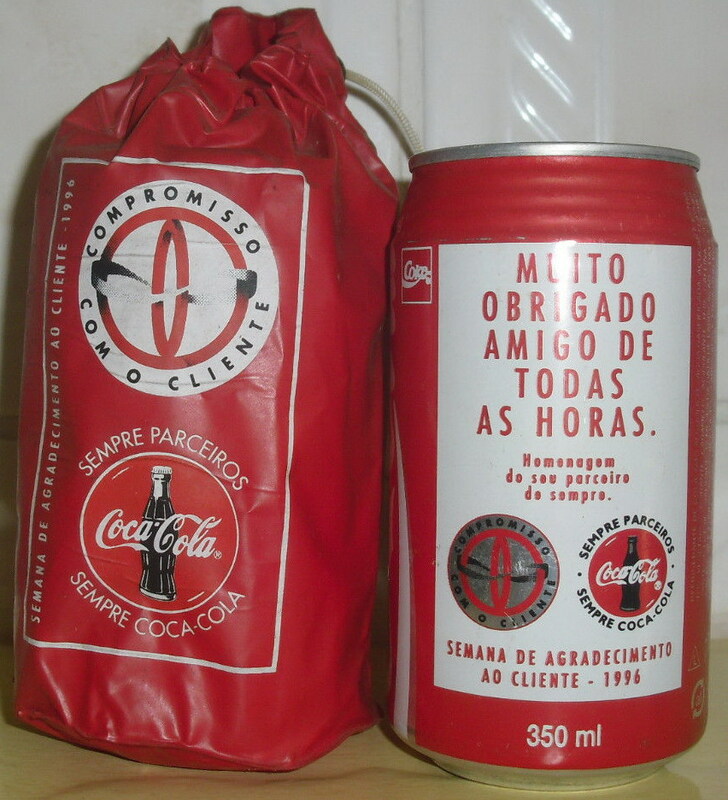 (47) 1995 MUITO OBRIGADO. A brazilian Main-Office promoted in 1995 a GRATEFULNESS WEEK TO THE CLIENT and met in closed convention the biggest and best brazilians dealers. 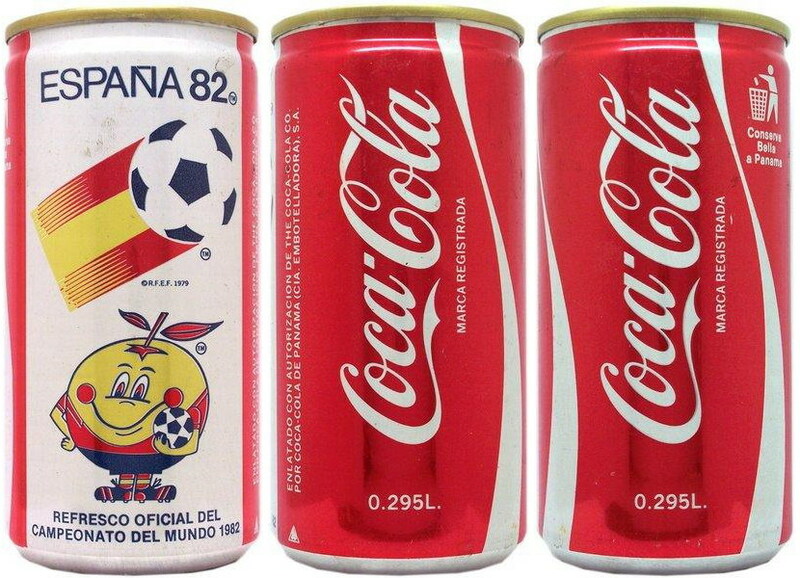 During the receptions and festive meetings he served the soda to the guests in these exclusives and commemoratives cans to the event. 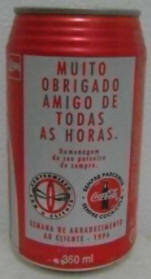 (48) 1996 MUITO OBRIGADO AMIGO DE TODAS AS HORAS. The same event of the 1995 (see above). 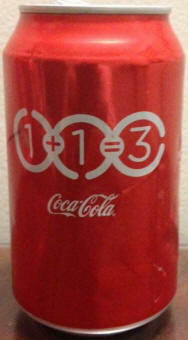 This year the can was given together with a special plastic bag. (49) 1982: World Cup. "vibra, brasil !" 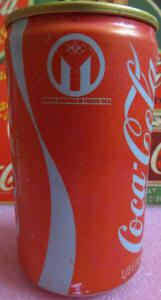 - "coca-cola. 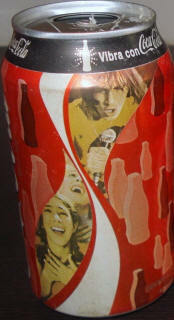 o sorriso da copa"
(50) 2003: music festival "Vibra con coca cola". 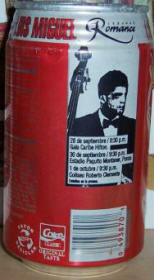 (51) 2004: music festival "Unete a la vibra coca cola". (52) 125th anniversary. 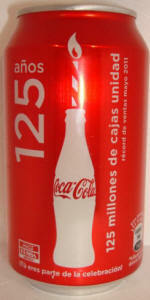 125 milliones de cajas unidad. (53) "Tù tambièn puedes ser voluntario". "2005, un techo para Chile". (54) 2002: rare can x employees ! (56) "Tù tambièn puedes ser voluntario". "2005, un techo para Chile". 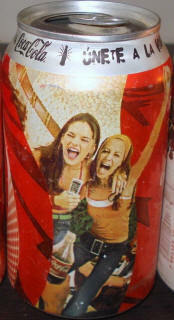 (57) "Acerca este codigo/figura a tu webcam ..."
(58) 2002 El Salvador - American and Caribbean Games 1. (59) St.Martin / St.Maarten. 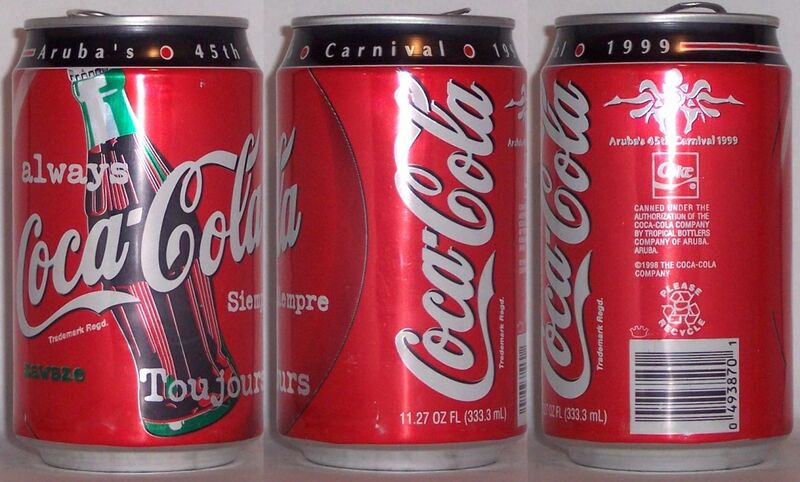 Carnival 1997. (60) St.Martin / St.Maarten. Carnival 2016. "Enjoy Carnival"
(61) St.Martin / St.Maarten. Carnival 2017. 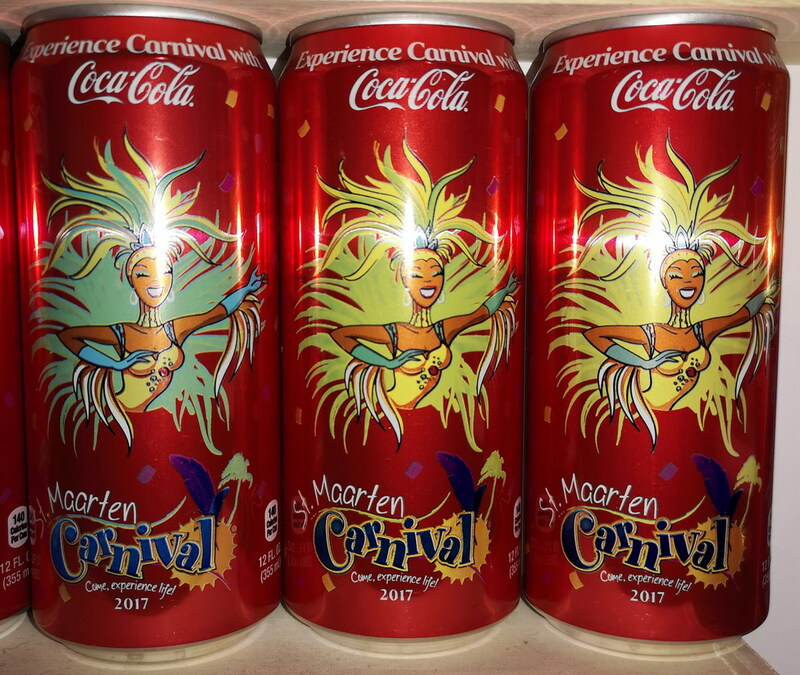 "Experience Carnival"
if you click on the pic you can see the original can and 2 variants. The official can has a dark green color, then there are a light green color and only yellow color. (62) St.Martin / St.Maarten. Carnival 2018. "Spirit"
(63) St.Martin / St.Maarten. Carnival 2019. "Celebrate"
(64) St.Martin / St.Maarten. 2017 "Stay strong". Can produced after Hurricane Irma devastation. 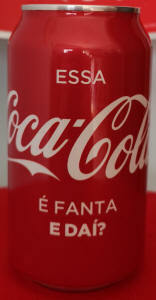 (65) "Essa CocaCola é Fanta, e daì?" 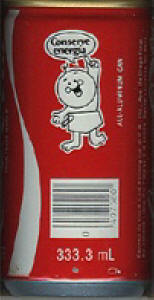 Special Coca-Cola can in honor of the LGBT Pride Day. 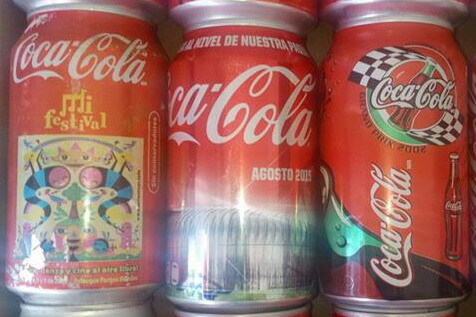 For the International Day of LGBT Pride, Coca-Cola has decided to create a Coca-Cola that really brings Fanta inside the can. 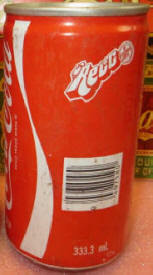 The campaign put on the label "This Coca-Cola is Fanta. So what?" Special edition not commercialized. 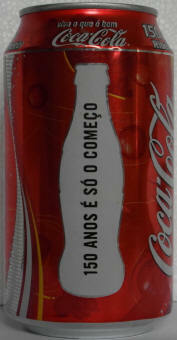 Distributed only within the Coca-Cola headquarters in Botafogo, Rio de Janeiro.